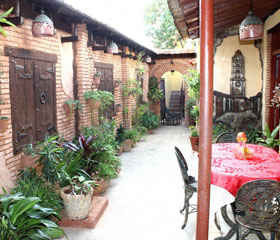 The hostel "El ceramista" is a beautiful colonial house built in the years 40. 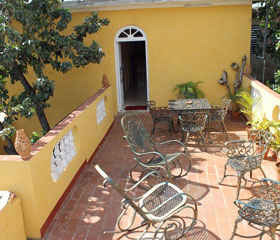 The house is located very near the square Carrillo, in the same street of the Factory of Tobaccos and to so single 600 meters of the historical center, what facilitates the access to the main tourist points of interest. To their arrival is offered a cold cocktail of fruits free. The neighborhood where it is located it is pleasant, central and very sure. In the house trere are three rooms acclimatized room, with big windows: one of the rooms is in the first level, with portal and interior garden. 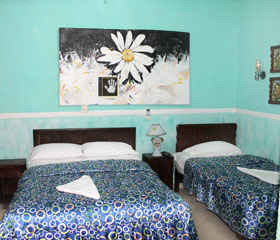 The two remaining rooms are in the second level, which can be offre like independent house, because they have a shared bathroom that is as a local separated from the rooms, besides local common as room, living room, dining room and kitchen of total access for the clients. 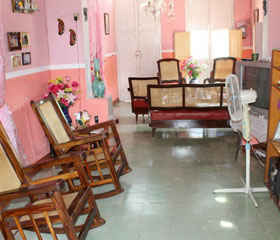 In the house a family composed by 5 people, 4 adults and a boy lives. The elegance; entertainment, good food and the good pleasure mix for their hosts Omaida and Modest that will offer a service of maximum quality. 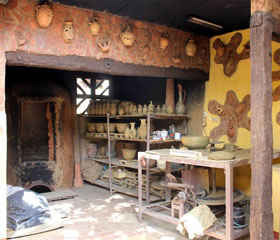 The house is distinguished to have a ceramic factory, where one works the pottery one of the most ingrained trinitarian traditions. In the same one you can will be able to observe the creations of a teacher potter, Alexey who is part of the family. 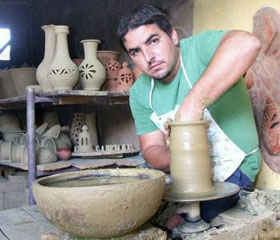 He will be able to acquire typical handmade pieces of the city, and if he wants he/she can take pottery classes without additional cost. Inform to the family of their hour of arrival and it will be expected in the station Via Blue or in the arrival point. Nearby places: Fabrica de tabacos Centro telefónico ETECSA y acceso internet en sala de navegación y wifi. Transporte: Estacion de tren colonial turístico. 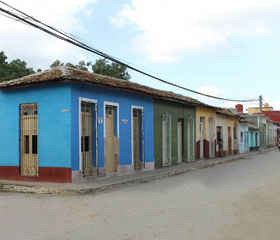 Parques: parque Cespedes (en el centro de la ciudad.